Was it dyed for tourism purposes or is it another amazing natural phenomenon? 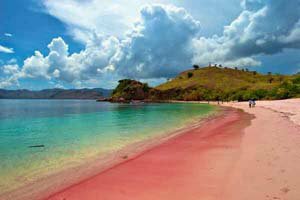 Pink-sand beaches form in only a few regions around the world, where tropical coral reefs flourish offshore. 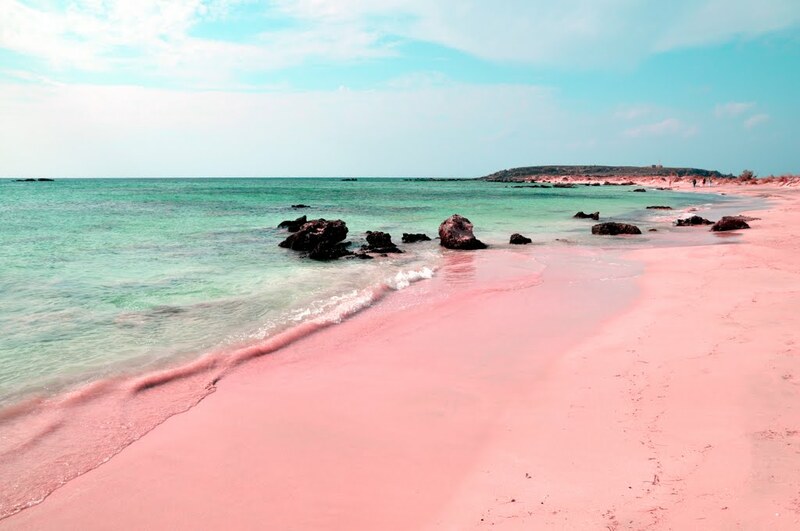 Pink Beach of Bonaire, Dutch Caribbean Island. Why is the sand pink? What makes the sand pink is an amalgam of calcium-rich shells and fragments of invertebrate sea creatures, from minute, single-cell protozoa to spiny sea urchins. Chiefly responsible are foraminifera (“foram” for short), a type of protozoan that lives in great profusion in reef environments. Their persistent red pigment remains even in the microscopic “skeletons” these animals leave behind when they die. The red gets mixed in with other (predominantly white) reef debris-broken clam and snail shells, fragments of coral and, when washed ashore, forms the island’s signature pink sand. In this video you see two Japanese women on one of these amazing pink beaches in The Bahamas. 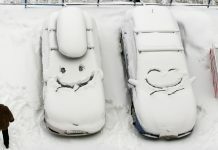 It must really be a fantastic experience (watch between 1:10 and 2 min)! 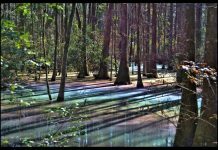 Why these swamps have rainbow colors?